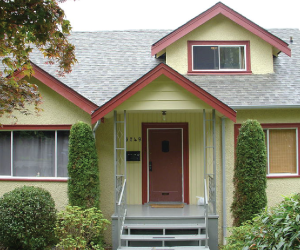 Atlas Painting and Restorations Ltd. is your friendly Vancouver residential painting company. Let us make your home feel brand new again – trust us, a fresh coat of paint can do wonders for you and your home. We have painted thousands of kitchens, bedrooms, bathrooms, dens, basements, and the list goes on. We cover all interior and exterior house painting services all over Vancouver and the lower mainland. Our professional painters are reliable, respectful of your home and clean up at the end of every work shift. You won’t even know we were there. We provide in person free consultations to all our customers so you can get to know us and we can get to know you and your house painting needs. Our process is friendly and designed to make you feel comfortable every step of the way, we want your home to look just as you envision it. We will pick the colours with you and offer our expert suggestions and tips, schedule a date for the painting job and call to confirm the day before. Our painters will do a careful walkthrough to determine what will be required to prepare your home for a safe painting environment. We will cover your floors, furniture and fill in cracks in the walls if necessary. 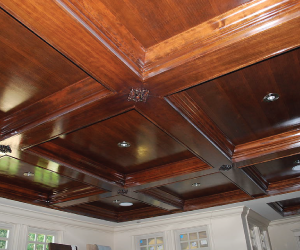 We can even take care of any renovations or additions to your home with our highly skilled carpentry staff and various trades that we work closely with. We highly recommend removing all valuables and fragile items away from the painting area such as paintings, shelves, or decorations so that they do not get damaged. If you have pets, you will need to plan where they will stay during any interior painting job. We use eco-friendly paints with zero VOC and low VOC paint to minimize the ordor impact on the environment and your home. There will not be any harmful ordors or fumes when you return home at the end of the day. All our residential painting contracts come with an on-site foreman who quality checks the work to ensure everything is as per agreed upon specifications. A complete walkthrough is performed with all our clients on site at the end of the job, we perform any last touch-ups and then clean up the job site. 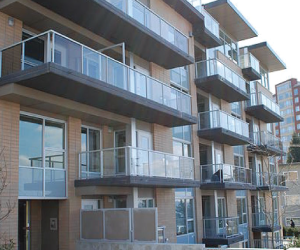 We will call you a few days after to ensure the painting job, colours, and products have met all your expectations. We want your home to feel brand new again. 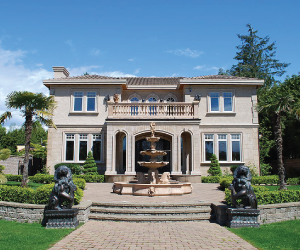 Call us today for all your interior and exterior home painting needs in and around Vancouver. We have 40+ years of experience in this industry and have worked on everything from apartments to luxury homes. We also provide institutional painting services that cover everything from power washing to heritage restorations.